The Ziggurat, translated means “Home of the Foundation of heaven and Earth” It was a sacred building that held various activities all ’ Sumerian society such as Observatory or warehouse. Mesopotamia comes from the Greek and means literally “land between two rivers”. Mesopotamia was a very fertile land between the Tigris and the Euphrates River. Per day d ’ today corresponds, so rough enough, all current Iraq ’. This allowed fertility, starting from 4000 a. C, in human groups to settle in a stable manner and to found the first cities. Mesopotamia saw succession different populations that ’ have dominated and lived there. Among the main populations are the Sumerians, the Accàdi, the Babylonians, the Assyrians and then the Persians :all these civilizations had a centralized hierarchical organization and a social structure and ’, that was so evident in the architecture produced by various populations. 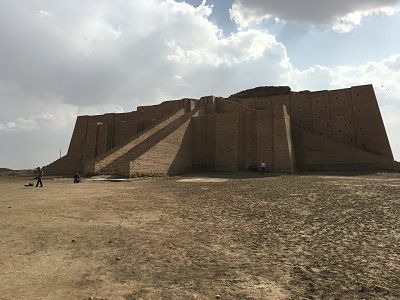 A significant architectural element of the Mesopotamian civilizations is certainly the Ziggurat (“Home of the Foundation of heaven and Earth”). This building had huge terraces and was shaped like a truncated pyramid. L ’ entrance to the main hall was ensured by Grand staircases on the front straight. The interior spaces were taking various function such as warehouse, sacred place, workshops or spaces for the defense. In cima alla ziqqurat si trovava il tempio dedicato a Nanna, the Lunar deity. The Ziggurats were built with bricks due to lack of stone quarries in the territory, This resulted in the disappearance of many specimens (There were only nineteen, all without the upper terrace). A ’ another important property of these monumental buildings is the embankment that was them and protected them from flooding of the Tigris and Euphrates, places on the two external sides of plain.